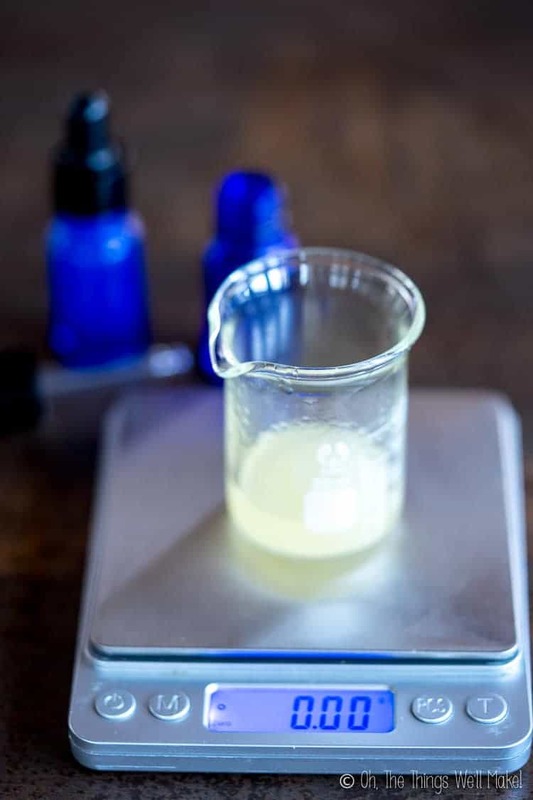 Hyaluronic Acid Serum Recipe - Oh, The Things We'll Make! 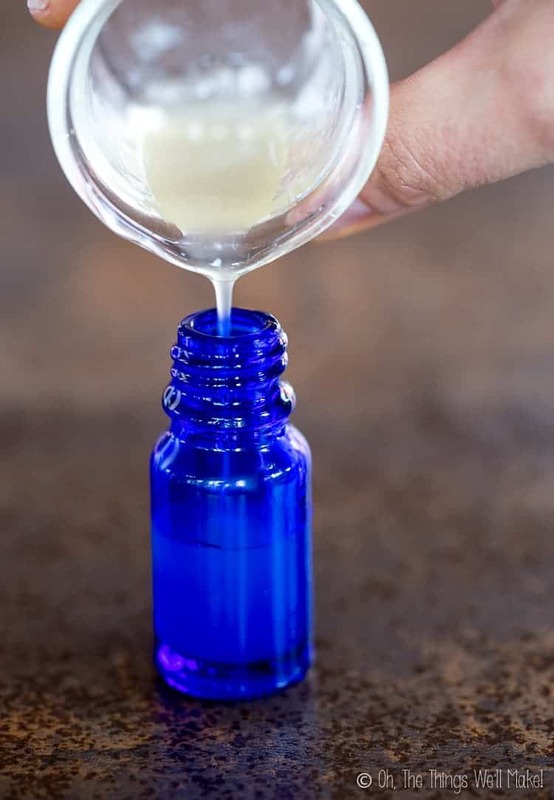 Restore humidity to the skin, making it look plumper and more radiant, all while reducing fine lines by using a DIY hyaluronic acid serum that is super simple to make and is great for every skin type. This is one of those recipes that I wish I had started making years ago. Ironically, I already had the ingredients for making it, having bought some hyaluronic acid without really knowing what to do with it, but I kept putting it off. I'm not really sure why. Maybe it's like making soap for the first time, it seemed more intimidating than what it really should have been. I knew what hyaluronic acid was, or kind of, I guess. I just didn't know what it would do for me, nor did I know if it would be difficult to make a serum with it. Once I made this hyaluronic acid serum, though, I was hooked. I doubt I'll ever be without it again! Hyaluronic acid is a gel-like substance that is naturally found in the body in places like our cartilage or our synovial fluid. It is also a component of our skin that helps with tissue repair. Used externally, hyaluronic acid works in a number of ways. First, it's a humectant, meaning that it binds to moisture in the air and then holds onto it. This helps bring that moisture into your skin, hydrating it. Hydrated skin is normally plumper and smoother, so any wrinkles present are less noticeable. Hyaluronic acid applied topically may also reduce redness and dermatitis. So, basically, long story short, when you apply hyaluronic acid externally, you can help keep it hydrated and make it look smoother. It may also help fight some skin conditions. Luckily, for those with problems with acne, hyaluronic acid is not comedogenic. That said, some people may find that they get a bit of a breakout when they first start using it. When I began using this homemade hyaluronic acid serum, I found that some areas of my skin started to clear up immediately. Other areas that were covered with small blemishes began to show larger, redder pimples surfacing with its use. I was worried that my skin wasn't reacting well to the serum, so I looked it up online and found that other people had similar reactions when they used hyaluronic acid: they got more red pimples. Some chose to stop using it for that reason. Because I had some areas that were actually improving (even during the part of my menstrual cycle when my skin is usually getting worse), I decided to stick with it and see what would happen. Everything I read pointed to hyaluronic acid being non-comedogenic. I was hoping that maybe things needed to get worse before they got better. As luck would have it, with time, the areas with the red pimples cleared up, and I found that the smaller, less noticeable pimples that had been in those areas actually disappeared, leaving me with clearer skin than before! It seems to me that the serum helped bring those smaller pimples to a head, and eventually helped them disappear completely. Now that I'm using the serum daily, I can't claim to have perfect skin, but my skin is much, much clearer than it was a few months ago before I started. Does hyaluronic acid dry out your skin? Because it is a product that is meant to help hydrate your skin, some people are surprised to find that hyaluronic acid serums may make their skin feel drier. This is usually due to the way that it is applied. Hyaluronic acid, as a humectant, can absorb more than 1,000 times its weight in water! If you apply this serum to dry skin, especially in a dry environment, the hyaluronic acid can start to draw some of the moisture from your skin and pull it into itself. That leaves you with the sensation of drier skin rather than more hydrated skin. When should you use this hyaluronic acid serum? I've been using this serum twice daily for the last few months. I put it on right after washing my face at night and then again right after washing my face again, first thing in the morning. To keep it from drying out my skin, I apply it while my skin is still damp. 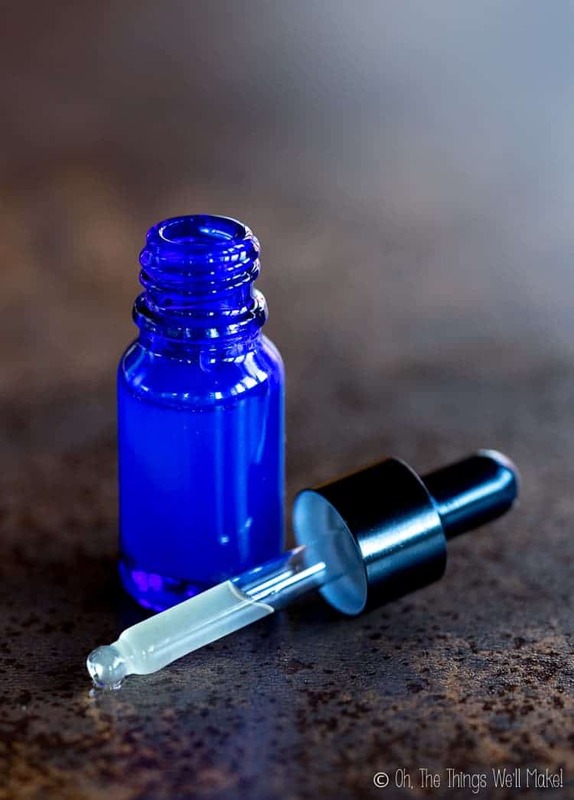 When buying hyaluronic acid for your homemade serum, you'll likely find that there are several types available. Most commonly, you'll see these types referred to as low molecular weight vs. high molecular weight hyaluronic acid. This is based on the size of the molecules within that particular product. In formulating my homemade serum, I chose to use both types of hyaluronic acid to benefit from the best properties of each of them. Each type will act on a different layer of our skin, and only one of them allows us to easily make a serum-like consistency. Low molecular weight hyaluronic acid penetrates the skin better, meaning that it may hydrate the skin more deeply. High molecular weight HA tends to stay closer to the surface of the skin, locking water in those superficial layers. High molecular weight hyaluronic acid is a fun product to work with. When you mix it with water, it forms a nice gel, one that is perfect for making a serum. When you use high molecular weight HA for making your serum, you don't normally need to add any thickeners like xanthan gum to your mixture, which is great because those gums can leave your skin with a sticky feeling. Low molecular weight hyaluronic acid is that which is below 800 kDa. will not gel like the high molecular weight one. 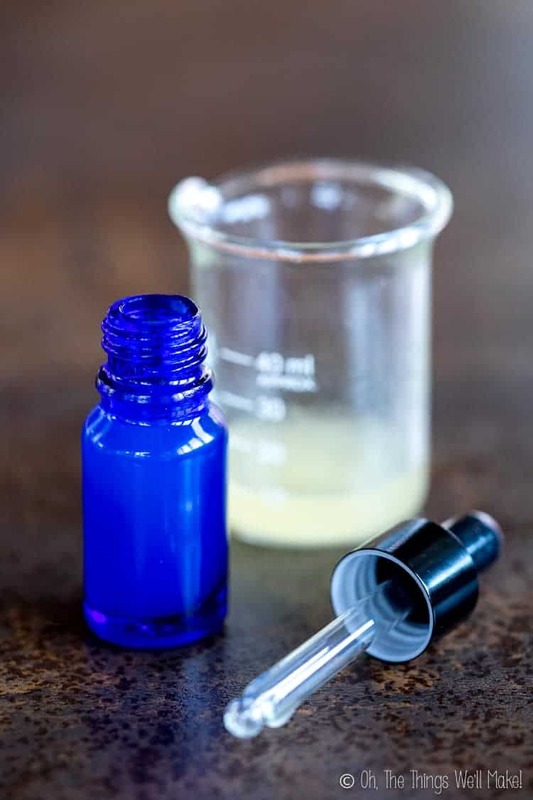 Do you need a preservative in a homemade hyaluronic acid serum? Because this is a water based product, it is very important that you use a preservative to protect it from microbial growth. While it's quite easy to see mold forming in a homemade product, bacterial growth is normally invisible to the eye. I have seen pictures of skin reactions to creams that have been contaminated with bacteria, and it is not a pretty sight. If you don't use a preservative, you will need to keep this in the refrigerator and toss any remaining serum after a few days (definitely no longer than a week). With a more expensive ingredient like hyaluronic acid, though, do you really want to be wasting the excess? Do you really have the extra time to be making all of your products every couple of days? Are you really willing to risk microbial contamination? Because this is a homemade product, and most of us aren't willing to spend the money on doing microbial testing to see how long this product will truly keep free of undesirable microbial growth, I like to err on the side of caution and only make enough for up to 3 months. In most cases, the product will keep longer, but because we can't actually see bacterial growth, I think it's important to make smaller batches and make new product several times a year. Weigh out the glycerin in a small glass beaker. Tare the scale and add the hyaluronic acid powders. Mix the powders into the glycerin. Hyaluronic acid powders can take a while to incorporate into the water and other aqueous ingredients. By mixing it with glycerine first, it is much easier to combine all of the ingredients quickly. If you don't want to use glycerin (another humectant), you should allow the hyaluronic acid powders to slowly absorb the water overnight and then you can thoroughly mix together the ingredients. Tare the scale between each addition of your other ingredients. I've used d-panthenol and collagen, but those are optional ingredients. They can be substituted for more water. 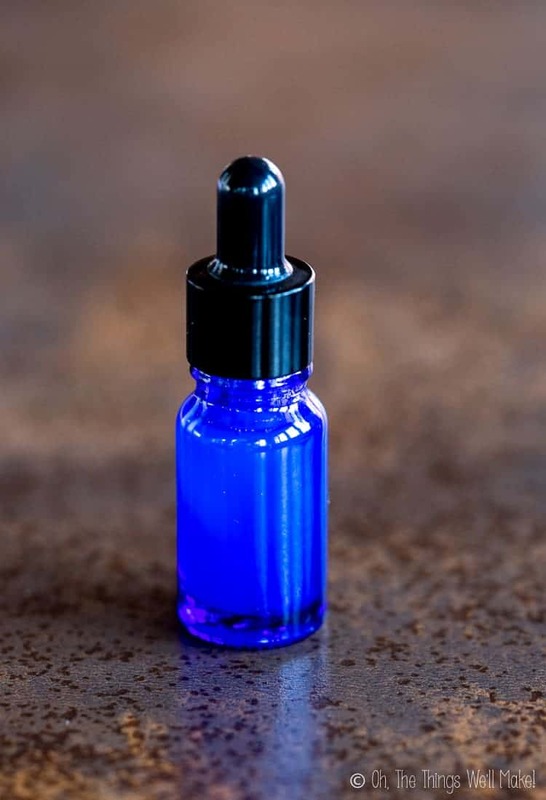 To customize your serum, and add a lovely scent, you can also substitute floral water or a hydrosol for part of the distilled water in the recipe. If using a different preservative, you'll want to check the pH of the serum to make sure the pH is in the effective range for your particular preservative! Pour the serum into bottles for storing and easy use. I often use small 10ml dropper bottles.